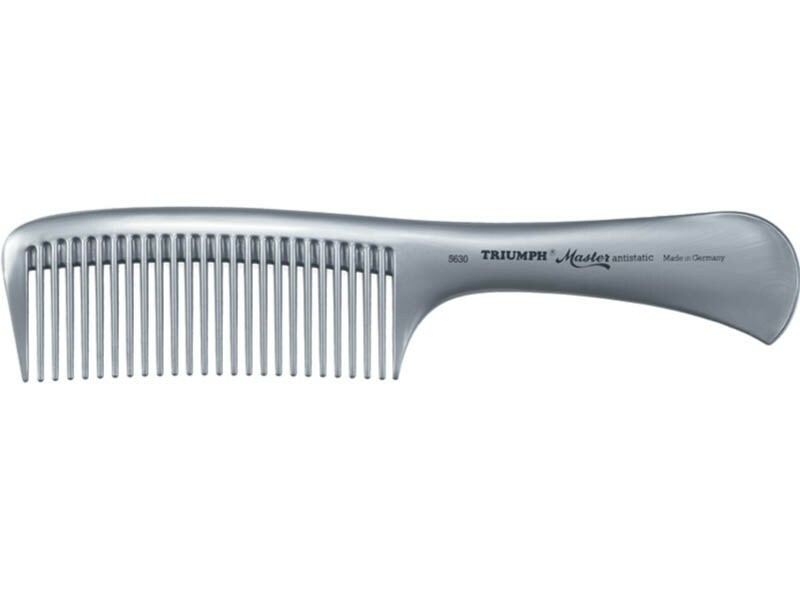 Triumph Master styling comb is crafted in Germany by Europe's oldest manufacturer of the finest combs and brushes since 1856. 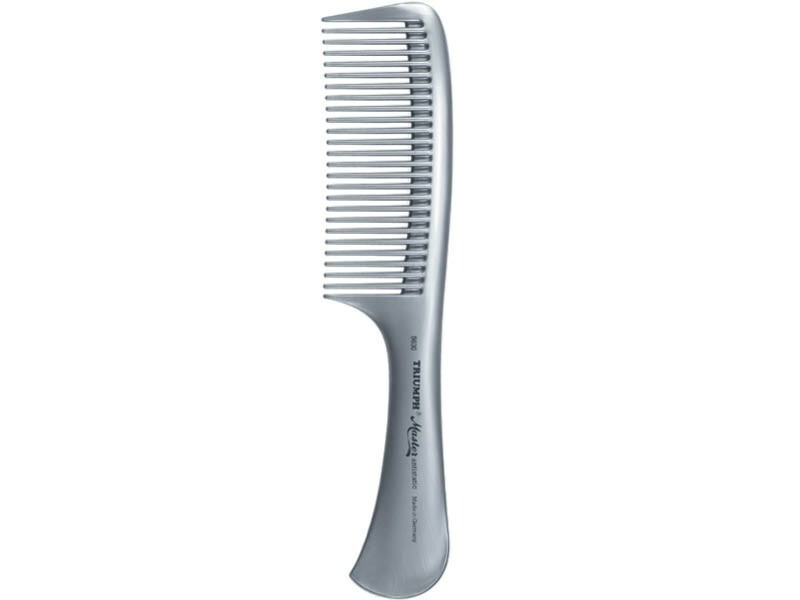 It is made of high quality thermoplastic and ideal for at home or salon use. 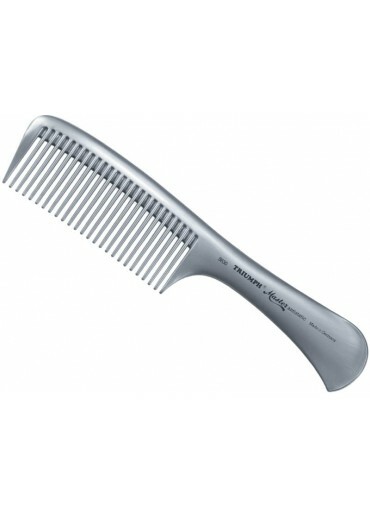 Carefully selected compounds make the comb almost indestructible and resistant to heat and chemicals. 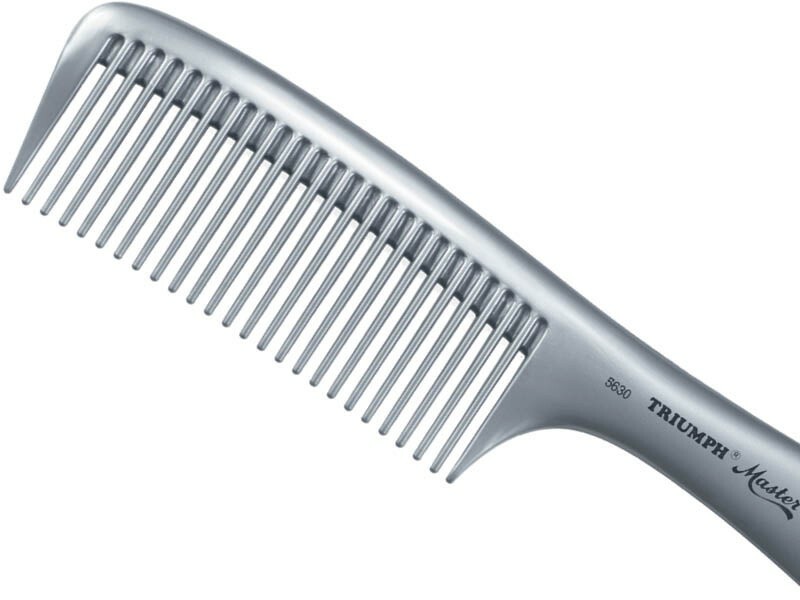 It is moulded into its final shape in a single production step and is therefore free of coarse, hair damaging burrs. 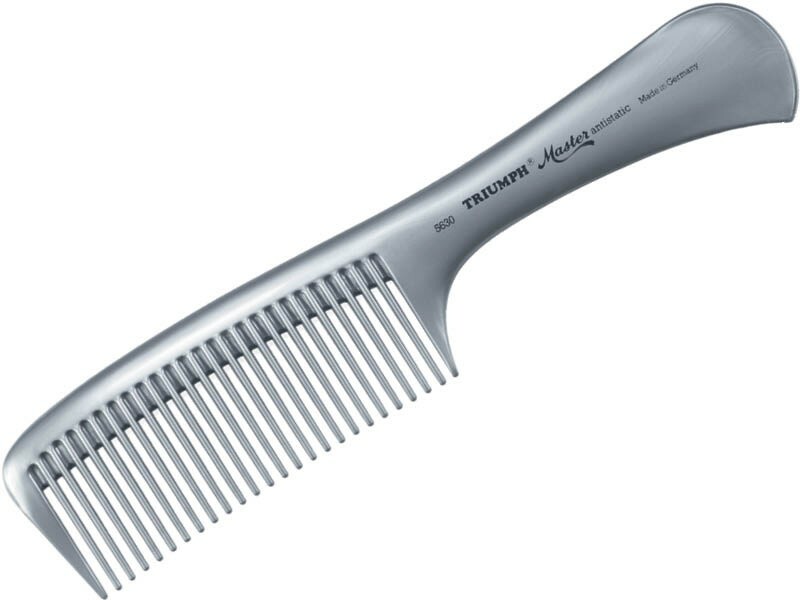 Rounded wide teeth feel pleasant on scalp and ergonomically designed handle offers maximum comfort. 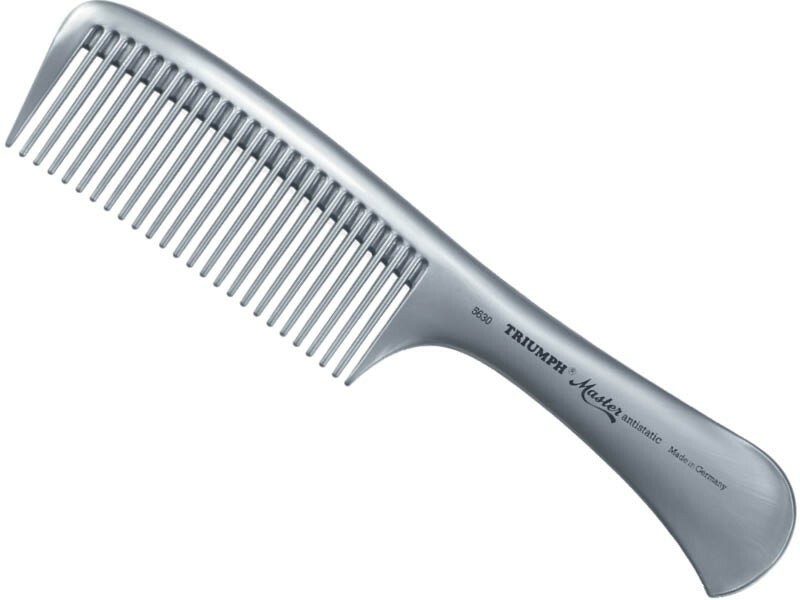 The comb glides perfectly through the hair and brings authentic German luxury to everyday hair styling.